Here we are – the last update of 2017. I hope you all had a wonderful Christmas! We’re in the post-holiday lull as far as credit card offers are concerned; not much noteworthy to report on that front. Personally we have a few important “keep or cancel” decisions to make soon, including Nicoleen’s $450 annual fee Chase Sapphire Reserve. In this update: I’ll report our extensive December points and miles activity and give an update on Nicoleen’s and my upcoming travel plans. We’ll cap it off with a holiday message. 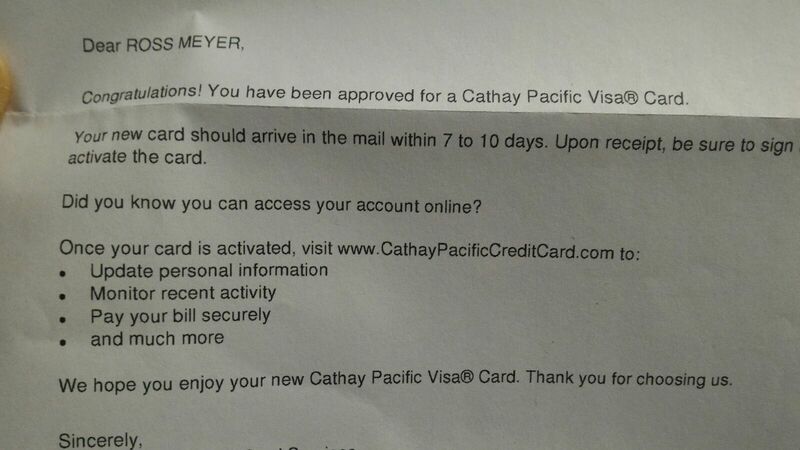 That hefty airline miles number is thanks my Cathay Pacific Visa card; the 50,000 mile bonus finally hit. The cash redemption was from my Bank of America Premier card. All those travel related points redemptions are for our upcoming winter get-away! Nicoleen and I are so excited to go back to Costa Rica! Yes, yes. . . I know it’s kind of lame to go to such an interesting and varied country and then sit around at the pool and beach the whole time. But hey – we need that kind of a break! Even though it’s basically repeat of our get-away last winter, this trip is unique in one major way. 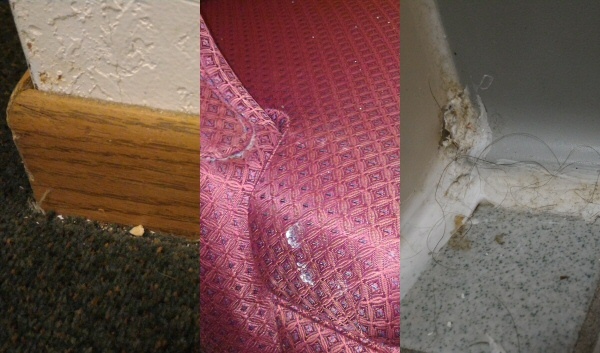 Between airfare, luxury accommodations, and ground transportation, the total out of pocket cost for this trip is $0.00! That’s a first for this value tactician! – Winter Vacation Plans Revealed is the answer to the teasers I put on Facebook for a few days about the location of our next trip. The swimming pool terrace at the Andaz Papagayo in Costa Rica. Having just finished planning our return trip to this awesome resort, this scene has been on my mind lately. It’s especially fun to think about as I look over at the exterior thermometer on this New Year’s Eve. It reads -3.1 degrees. Have a fun and safe night and may all your hopes for the new year come to pass! If any of those hopes involve free or virtually free travel, free money, cost savings, or any other value tactical related goals, I hope I can help you fulfill them! This entry was posted in Weekly Updates on December 31, 2017 by Gomanson. To give you an idea of how swamped I’ve been with non-VT stuff, this post was originally dated November 11th and the date has changed about 5 times. When it takes several tries and almost 2 weeks to write an update post, you know I’m hurting for time! And it’s not like there aren’t things to write about. . . In this update I’ll report on our October points and miles activity, talk about some general and personal credit card news, share some happy reports from readers, and give a travel update. We’ll top it all off with the latest free travel photo. 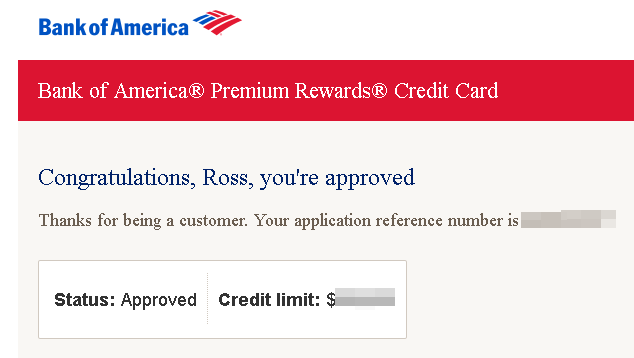 I managed to complete the $3000 bonus spend on my new Bank of America Premier Rewards card in the first month (in fact I met the spend with a single purchase), yielding the 50k bonus “other” points. Lately I’ve been infatuated with the idea of free annual nights as a credit card benefit. This is how I booked one of the two $700+ nights at the Z Ocean Hotel (pictured below in the free travel photo) this spring. For a mere $49 annual fee, the Chase IHG card gives you a free night at any IHG property worldwide. 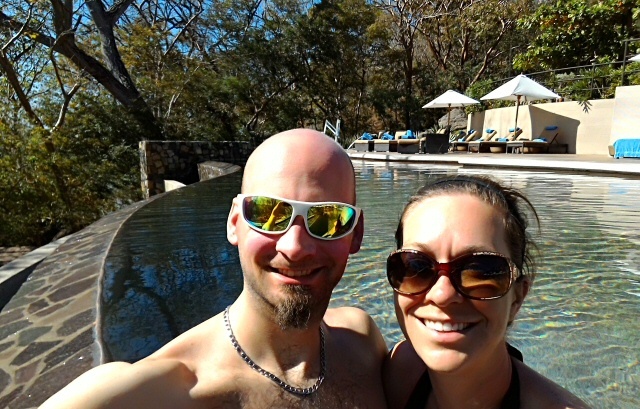 Our tropical weekend get-away to Costa Rica in February was also partially booked with free anniversary nights from our Chase Hyatt cards ($75 AF). One of the few cards offering this type of benefit is about to be replaced with a new version with different benefits. The present (and last ever) sign-up bonus on the current version of the card is at an all time high of 125,000 points! I’m talking about the Hilton Surpass from American Express. Check out my previous post for a full run-down of the situation with this card. And then on the 10th, the card arrived! ValueTactics reader Jamie recently told me about an upcoming vacation where she got a sweet deal on airfare to Ft. Myers. She booked 4 round trip flights for only $44 and 68,000 miles! That’s an awesome value; great job using the points and miles tactic, Jamie! We’ve been back from our Florida vacation for 3 weeks now. The trip was so awesome! I have to admit it was less relaxing than I anticipated, but at the same time it was more fun than I expected. Disney really does do things above and beyond all of their competition. After being there it’s easy to see that all other theme parks are trying to imitate what Disney has created. 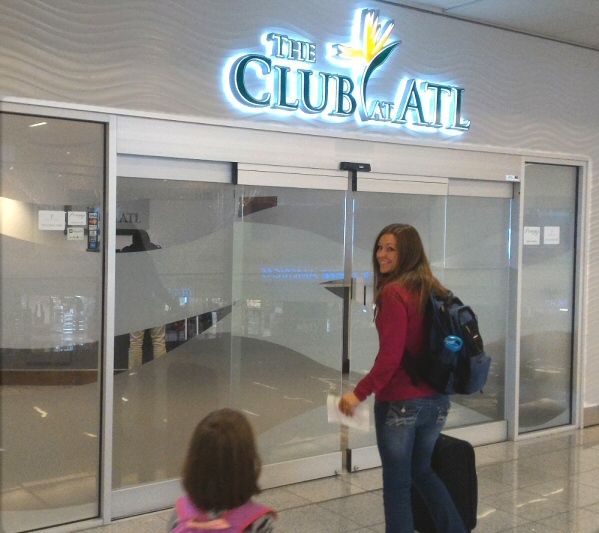 Besides two theme parks and the Kennedy Space Center we also experienced a free hotel stay and two free airport lounges. (Well, “two lounges” is a stretch since one of them was a quick grab and go affair.) 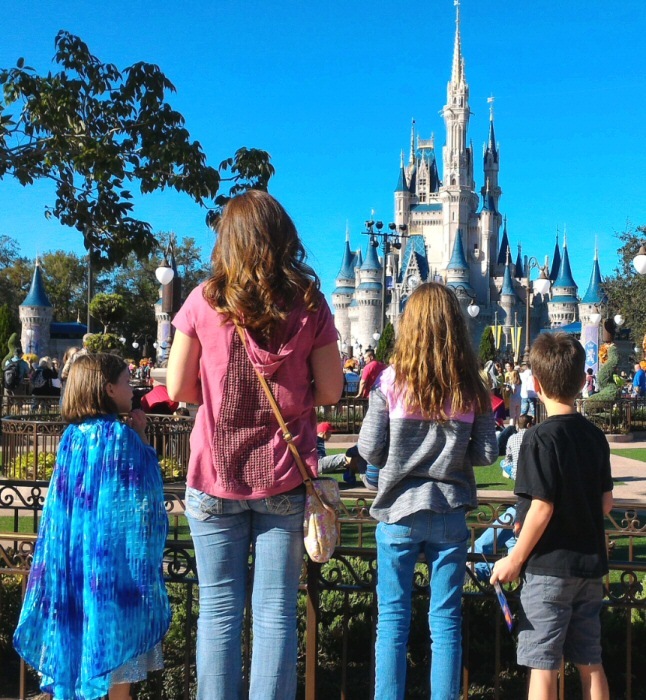 This trip should generate a few different blog posts, one of which is mostly finished: a complete outline of how we planned this trip for so little money. After our family vacation to Disney, Nicoleen and I are ready for a break. . . like maybe a vacation with just the two of us? 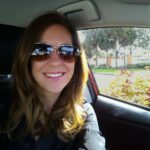 Our last adults-only trip was her birthday surprise trip to Miami Beach in April. I love this photo because I managed to fit everything into one shot from our private rooftop terrace: the moon shining on the ocean, the night lights of lively Ocean Drive, the unique pool at the Z Ocean Hotel, and our complimentary bottle of champagne. What an awesome free trip that was! This entry was posted in Weekly Updates on November 23, 2017 by Gomanson. The Hilton Surpass card from American Express has a new sign-up offer that comes with a highest ever 125k Hilton point bonus. This is already week-old news to some, but I figured I’d weigh in on it. Spending a combined $4k in 6 months is pretty doable and 125k is the highest bonus ever seen on this card, but keep in mind that not all hotel points are the same. Hilton is near the bottom of the list, at around 0.33 cents per point. Still, they are nice to have as Hilton properties are everywhere and in my experience they have the best overall service of the major conglomerates. The high earn rate on continued spending sort of makes up for the crappy value of the points. Hilton now lets you easily combine points with other people and they have a flexible cash + points option on award stays. These two factors make orphan points almost nonexistent. The Gold status shouldn’t be ignored either. Hilton Gold status benefits vary by hotel brand and by individual property, but the least it will get you is free internet and a welcome snack and bottled water. In many cases it will get you room upgrades and/or free breakfast. During our stay at the Hilton Amsterdam in 2015 my Gold status got us free breakfast ($30 each) and access to the Executive Lounge, which could have easily served as our dinner. Gold status at this one stay alone was worth more than the annual fee on the Surpass card! 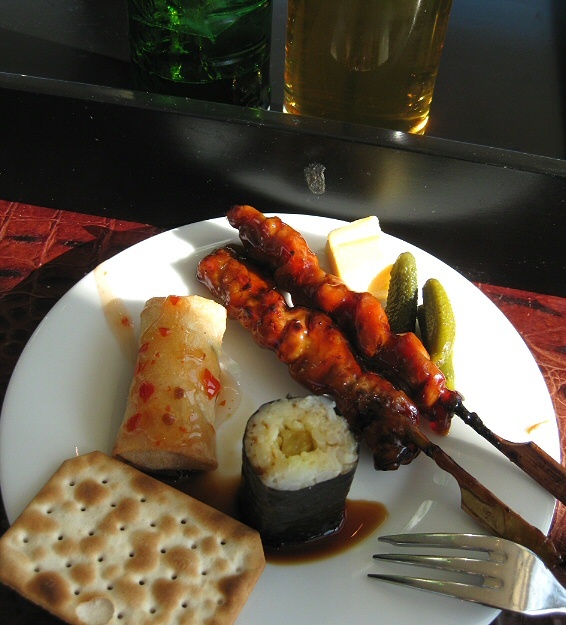 Complimentary food at the Executive Lounge at the Hilton Amsterdam. Lounge access came with my Gold status. The Hilton Surpass is from American Express, which means it’s a once-in-a-lifetime bonus. With that in mind, the strategy for when to get a given Amex card is simple: wait until it’s at its best known offer. That’s a shoe in, right? If this is the last chance to get this specific AMEX product, we can safely apply for it with nothing to lose, and still get the bonus on the new Ascend, right? That’s usually sound logic, but in this case most of the speculative thinking is that new Ascent applicants will be ineligible for any new bonus if they ever received a bonus on the Surpass. One free weekend night each year when you spend at least $15k on the card. 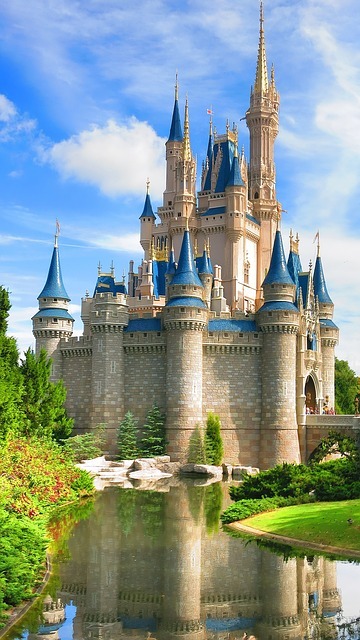 Previous Surpass offers have had this annual free night but without the spend requirement. $15k a year is definitely doable, but at what opportunity cost? That’s up to your spending habits and your valuation of Hilton points. Lately I’ve been infatuated with the idea of annual free nights as a credit card benefit. 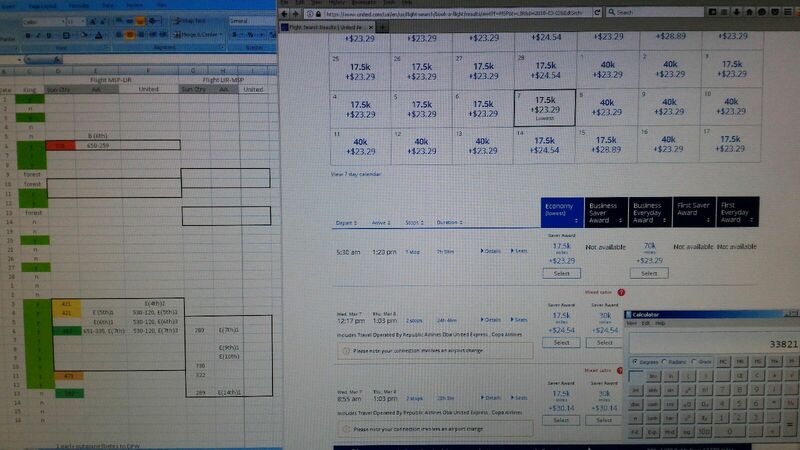 This is how I booked one of our two $700+ nights at the Z Ocean Hotel this spring. For a mere $49 annual fee, the Chase IHG card gets me a free night at any IHG property worldwide. Our tropical weekend get-away to Costa Rica in February was also partially booked with free anniversary nights from our Chase Hyatt cards. The Hyatt anniversary free nights are limited to category 1-4 properties and the annual fee is $75. Free nights can be extremely valuable when redeemed at aspirational resorts or big city hotels during peak dates. Hilton free nights often come with a “weekend only” restriction and some anniversary benefit free nights have a property category limitation. Obviously the best potential for extreme redemption value is on the unrestricted type. 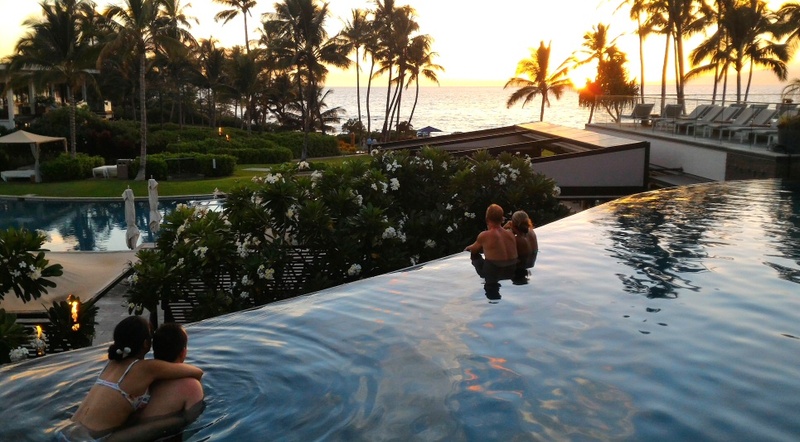 Last fall we stayed 4 free nights at the Andaz Maui at Wailea. That was two Chase Hyatt cards’ worth of bonuses at that time. The extinct Citi Hilton Reserve yielded the sign up bonus we used for two nights at the Grand Wailea on Maui. Besides their obviously high value potential, another reason I’ve recently been fixating on free hotel nights is that they are becoming rarer. This year Citi discontinued their Hilton Reserve card, which gave 2 free weekend nights as the sign-up bonus. 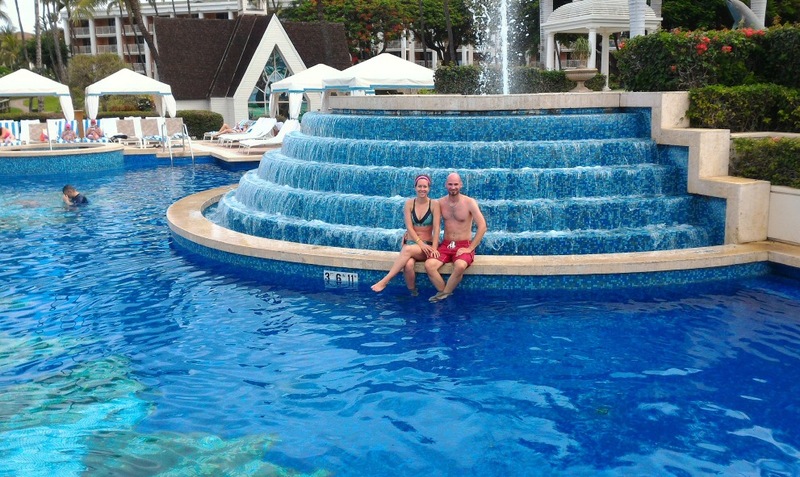 (Our two Reserve cards yielded us free stays at the Hilton Amsterdam, the Grand Wailea, and the Embassy Suites in St. Paul.) 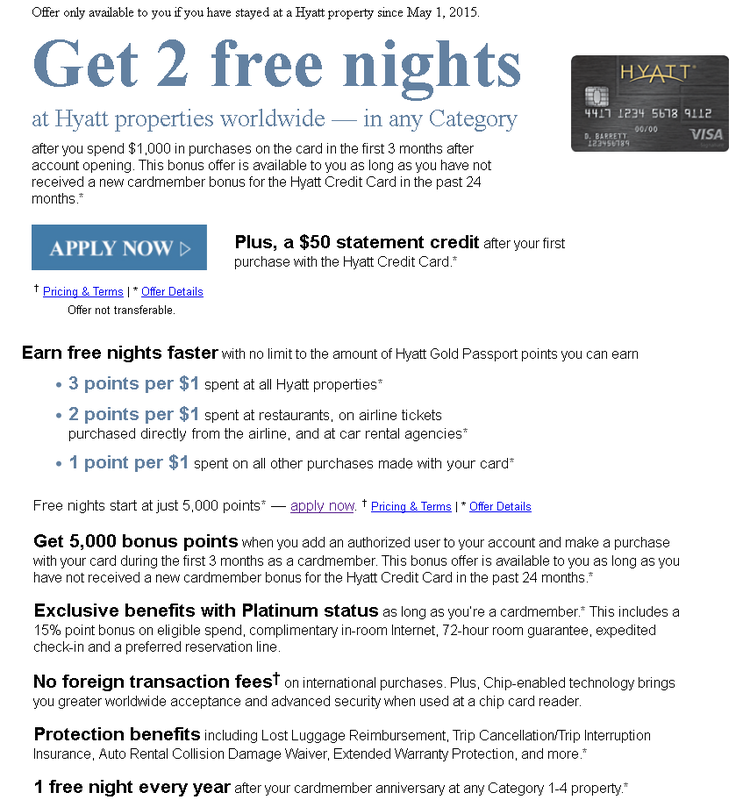 Also this year, Chase replaced the 2 free night sign up bonus on the Hyatt card with a points bonus. Will I apply for the Surpass? I don’t know. What I am really after is the anniversary free night. So the gamble for me is basically whether I think the current 125k bonus will be better than the sign-up bonus on the new Ascend. I would really kick myself if the bonus ends up bringing back the 2 free weekend nights we lost with the death of the Citi Hilton Reserve. On the other hand, if the new Ascend card never gets above 100k and I didn’t try for the current Surpass offer, I’d also be disappointed. Then I think about the $15k required annual spend just to get the free night and I question why I’m even spending so much thought on this card! Oh well, I have until January 17th to decide. . .
And last but not least, here’s a link to the offer itself! This entry was posted in American Express, Credit Cards, Hilton on November 16, 2017 by Gomanson. I’ve been using the credit card tactic to earn points and miles for about 5 years now. This tactic has earned me thousands of dollars in cash and tens of thousands of dollars worth of free travel. I’ve had a good run! The vast majority of the points and miles I have earned were not from regular spending, but from the credit card’s sign-up bonus. But the rules for credit card sign-up bonuses are getting tighter all the time. Each credit card has its own requirement in order to get the sign-up bonus. The most common requirement is a certain amount of spending on the card in a given time period, typically the first 3 months of card membership. The bonus on each card can change periodically and is advertised on whatever page you click through when you apply for the card. However, just because you’re approved for the card and make the required spending doesn’t mean you’ll get the bonus! An example of a card’s “splash page,” listing the bonus and other benefits of the card. Chase’s rules only allow you to get the bonus on their Hyatt card every 24 months. The 2 free night deal seen here has been replaced with a 40,000 point bonus, and the $50 statement credit comes and goes. Most of the following rules only apply to someone who has already earned the bonus on a particular card once before. Getting a repeat bonus on a particular card is called card churning. Each issuing bank has their own set of rules for if and how often you can get a sign-up bonus. These rules for credit card sign-up bonuses have changed a lot in the 5 years I have been in this game. I can’t think of a single example of a rule loosening up! Like most complex systems, things only tend to get more restricted and more narrowly defined. You cannot get the bonus if you already have that card (i.e. you can’t have two copies of the same card). You won’t get the bonus if you have earned a sign-up bonus on the same card in the past 24 months. Keep in mind this 24 month timer starts when you received the bonus, not when your account was approved. Only one Sapphire product at a time. This is more of a card approval rule, but I’ll include it anyway since the Sapphire Preferred and the Sapphire Reserve are both popular cards for their 50k Ultimate Rewards sign-up bonuses. If you apply for any Chase card with the word “Sapphire” in the card title and you already have any Sapphire card, your application will be denied. Like Chase, Citi has a 24 month timer between bonuses on the same card. A few months ago Citi added some new fine print to their applications that pretty much makes the above-mentioned timer a moot point. The 24 month timer is now shared among all cards within the same point species. (For example: if you earned a bonus on the Citi Thank You Premier, you are not eligible for the bonus on the Citi Thank You Prestige for 24 months since they both earn Thank-You points.) The same goes for their American Airlines earning cards. But wait, there’s more. . . The new language also changed the triggers that activate the timer. The timer is no longer started by earning a sign-up bonus. Instead, the 24 months start when you open, close, or downgrade an account. This is asinine because it offers extra motivation to close an account right after earning the sign-up bonus. The one saving grace is that business cards are given their own separate timer. One sign-up bonus per card, per person, per lifetime. If you have ever earned the sign-up bonus on a particular card, you are permanently ineligible to receive a bonus on that card again. For example, if you had the Amex Delta Gold card 8 years ago and cancelled it 7 years ago, you might be approved again for the card today, but you would not get the sign-up bonus. If the sign-up bonus changes (like when the Amex Delta Gold goes up to 50k, as it does periodically) it is still the same card so you will still be ineligible. It’s different if they release a different version of a card with a different name. For example, if they stopped making the Delta Gold and instead created a new card called the “Delta 24 Carat Gold Card” then you could earn that card’s bonus even if you earned one for the old version. Most points and miles earning cards periodically come with elevated bonuses. Since Amex sign-up bonuses are once-in-a-lifetime, wait for the best known offer on a given card before applying for it. BoA is famous for it’s Alaska Airlines card, which has been the go-to card for compulsive churners for years. There are reports of people getting a new card every 2 months and earning the sign-up bonus each time. Bank of America just released it’s new Premium Rewards card, which indicates they may be making a foray into the more competitive group of banks issuing premium travel cards. Some Bank of America cards have no specific fine print related to repeat bonus earning. The brand new BoA Premium Rewards card fine print says you can’t earn the sign-up bonus if you have earned it within the past 24 months. 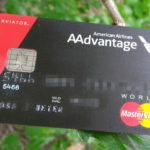 There is evidence that BoA is starting to get wise about abusive card churning, and several recent reports indicate a general clamping down, like the 24 month timer on the new Premium Rewards card. It’s still fair to say that Bank of America cards are more churnable than not, but let common sense be your guide on when to try for a repeat bonus on cards without specific language. Barclay has several good points and miles cards including the Arrival Plus and the American Airlines Aviator series. 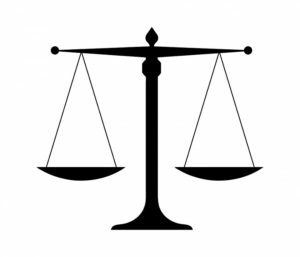 Barclay has no publicly defined policy on bonus eligibility for many of their cards However, Barclay seems to have more of a human touch when it comes to approving new accounts. Unless you leave some evidence of regular and legitimate card use, it may be difficult to get approved for a new card, especially if you appear to be doing it just for the sign-up bonus. Yes. It’s not the Wild West anymore. 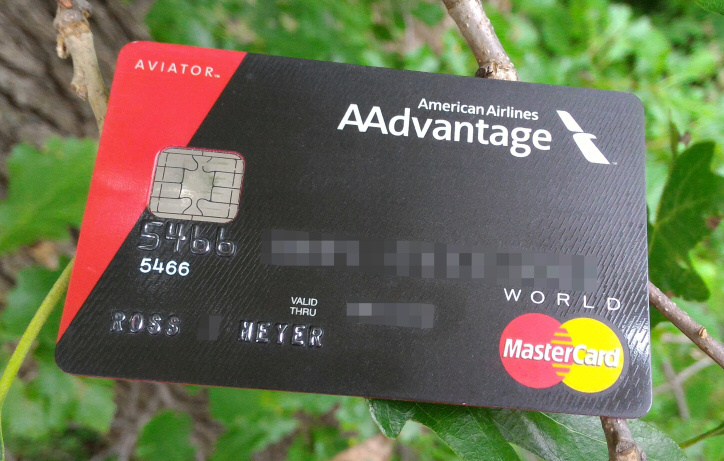 Many value tacticians who have been around longer than I have remember the days when you could get 4 different versions of an American Airlines card from Citi every 6 months, racking up 300-400k miles a year just from bonuses! And of course there are the ancient heroes like Pudding Guy, who found a pretty big loophole that earned him over 1.25 million miles by buying and donating $3k worth of pudding! In my 5 years in this game I have seen a lot of new restrictions come into play. The most drastic of which have been from Chase and Citi. This makes sense since these banks have some of the most lucrative bonuses out there. They need some way of limiting people like us who pay attention to the details and want to maximize these offers. Limiting bonus earning is a key way they can do that. The other method banks use to limit churning is with rules on card approvals. I’ll address this closely-related issue in another post. Credit card bonuses are an incredibly valuable resource. But like all resources, they become harder and harder to extract as time goes by. Signal Hill CA active oil field 2011. CC Image courtesy of haymarketrebel on Flickr. Tighter rules on getting sign-up bonuses are just one factor. Getting approved for some cards is becoming more difficult all the time as well. Points and miles, like currency, are in a constant state of inflation. Mileage devaluations and new award charts decrease the value of the points you’ve already earned. Loopholes are closing across the board at a pretty steady rate. The solution to all this is to adapt and update your strategy. Speaking for myself, every card application for me or my wife is very carefully considered. I have a long term schedule of cards we would like to get, but it’s also flexible. Elevated bonuses come and go, rules change, and the value of particular points and miles change. If you’re already playing the credit card game, pay attention. If you got away with willy-nilly card applications in the past, you can’t anymore. If you’re still sitting on the sidelines, get in the game. I sound like a broken record but I can’t stress this enough. The crazy world of credit cards, points, and miles is getting more complicated all the time. But the opportunity is still there and still awesome! Get in while the gettin’ is good! This entry was posted in American Express, Bank of America, Barclaycard, Chase, Citi, Credit Cards on October 6, 2017 by Gomanson. This round of new card applications is just the jump start I need to get the website rolling again. (If you want to hear the rest of my whiny excuses for the recent lack of new material, I put a list at the bottom of this post.) In this update: our household points and miles activity for September, a look at the current good credit card deals, some details on our upcoming trip, and another free travel pic! The Chase Southwest personal card currently has the 60k elevated bonus. The Citi Thank-You Prestige bonus is now at 75k Thank-You points (permanently or temporarily, no one knows), but with a $7.5k minimum spend and a $450 annual fee. Bank of America just busted on to the scene with a new premium travel card: the Premium Rewards card. The points can only be redeemed for cash, but with the 50k point bonus and some other benefits I estimate the card is worth $600-750. The Chase Southwest card is a great deal at 60k, but personally I am waiting on the Southwest cards until I can get the companion pass by earning more than $110k points in a year. I would be all over the Citi Prestige, but Citi’s newest restriction says that I can’t earn any Thank-You points bonuses until 24 months have passed since my last Thank-You point bonus. I’m currently at around 22 months. My new Bank of America Premium Rewards card from this morning should be in the mail soon! I’ve had several people recently ask me what the best single card is right now. I’m sticking with the Chase Ink Preferred if you can make the case you have a business. If not, the Chase Sapphire Preferred is still at or near the top of the list due to the generous 50k sign-up bonus of the highly versatile Ultimate Rewards points. If Southwest Rapid Rewards are valuable to you, the Chase SW card (see link above) is an easy way to earn a lot of those points. 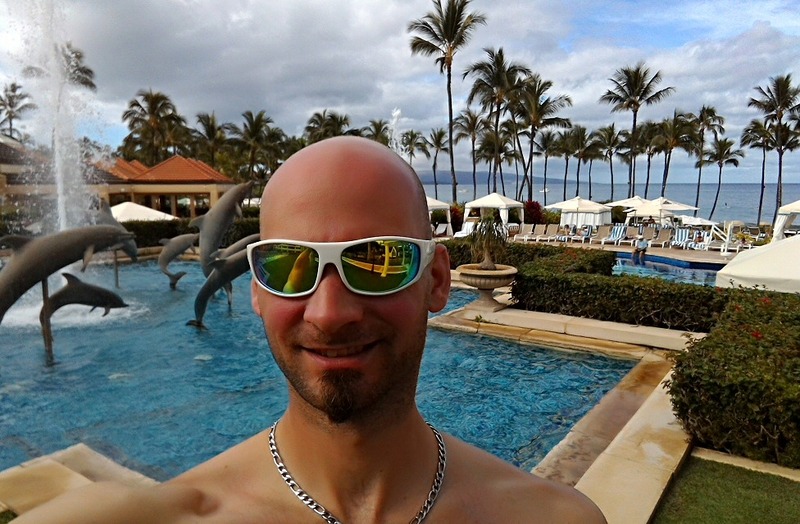 A selfie I took in front of the dolphin pool at Hilton’s Grand Wailea just over a year ago. I chose this photo because I realized that the two cards we used to get the free hotel stays on our amazing Hawaiian get-away last fall are no longer available. The bonus on the Chase Hyatt is no longer 2 free nights, and the Citi Hilton Reserve doesn’t exist anymore. Yet another lesson to take advantage of these deals while they’re around!! Anything else would be a tactical error. 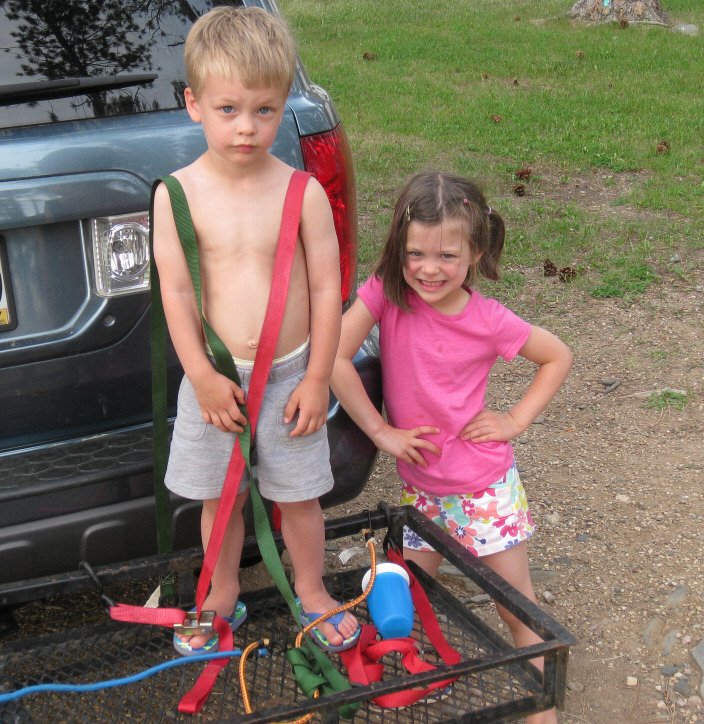 We have 3.5 kids who just started the school year (one is 2-day pre-K). I was working on a tile job (my previous profession) for 2 weeks every day after my day job. Fall cleaning around the house and my own bathroom tile project. A lull in enthusiasm for value tactics due to no new vacations on the horizon and no new credit card bonuses. It happens to everyone once in a while! Solo parenting this week while Nicoleen is in Florida. General lack of focus and a hearty dose of writer’s block. We’re back at it now though! The recent credit card apps have fueled my enthusiasm once again. Our upcoming value-filled trip to Florida should keep me motivated as well. This entry was posted in Weekly Updates on October 3, 2017 by Gomanson. In this update I will show you our points and miles activity for August, we’ll look at some awesome credit card deals currently available, and I’ll give a travel update. 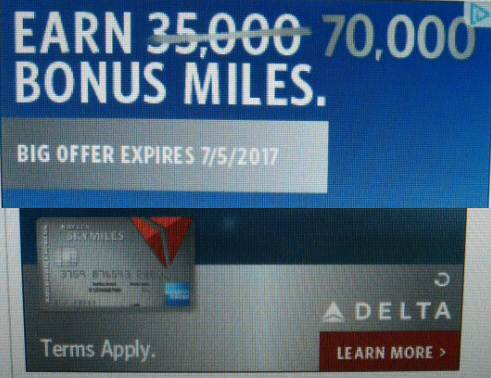 I was a little puzzled when I saw I had earned 455 American Airlines miles. I didn’t remember using my Citi AAdvantage Bronze card last month. Then it dawned on me: for the first leg of my trip to Europe I flew an American flight to Chicago. It wasn’t an award booking, however. I paid with a gift card I got for free with my Wells Fargo Propel card. I am so used to earning points and miles with credit card bonuses and regular spending, I forgot the original way people earn miles: from flying! – Swissair Business Class (Airbus A321) DUB – ZRH is my review of this wonderful little flight that capped off my trans-Atlantic itinerary this summer. Swiss quality isn’t limited to watches, chocolates, and pocket knives. . . read the review to find out why! The biggest news recently is that Chase has once again tightened the rules for getting approved for their best cards. As of a few days ago, applications for new Sapphire line cards (Sapphire, Sapphire Preferred, and Sapphire Reserve) will be denied if the applicant already has another Sapphire product. Additionally, the Chase 24 month sign-up bonus timer is now shared among all Sapphire products. This means you can’t get the bonus for both the Sapphire Preferred and the Reserve within a 2 year period. I’ll write a full post about this change in the near future. The sign-up bonus on the Barclay Aviator Red has been increased to 60,000 American Airlines miles. The minimum spend requirement is one purchase of any amount! The card does come with a $95 annual fee NOT waived the first year. If you have the Aviator Red that was transmuted from the old U.S. Airways card, you are still eligible for this bonus since it’s considered a different product. For more details, check out MileValue’s report on the bonus increase here. In personal news: In light of the recent Chase rule change and other changes in the past year, I decided I needed to reevaluate my current card strategy. As the restrictions on new card applications pile up, and as terms and bonuses on popular cards change, it’s getting more and more complicated to maximize the value of credit card bonuses. I won’t bore you with the details of our specific scenario, but soon I will write a post outlining some of the new challenges of making a card strategy / app schedule. 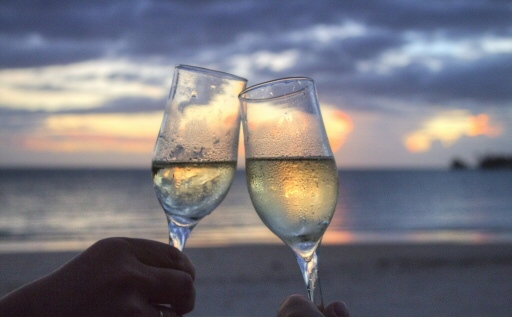 Nicoleen and I have recently been discussing what to do with our 2 free Hyatt anniversary nights from our Chase Hyatt cards. Last spring we used them at the Andaz Papagayo Peninsula in Costa Rica. 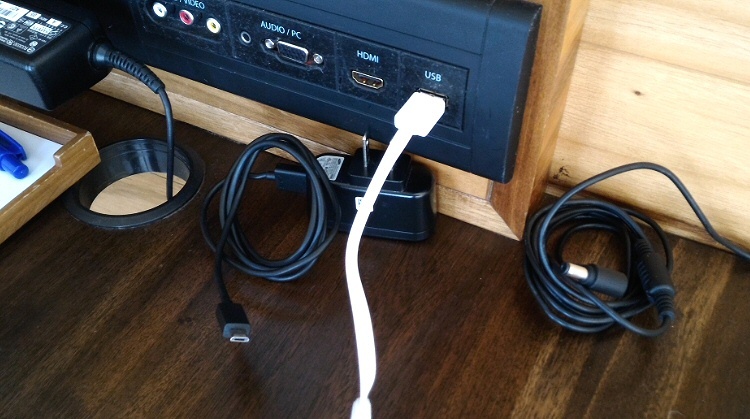 We were impressed when we saw that room service had taken the time to coil up our cords that were scattered around the desk! This entry was posted in Weekly Updates on September 1, 2017 by Gomanson.